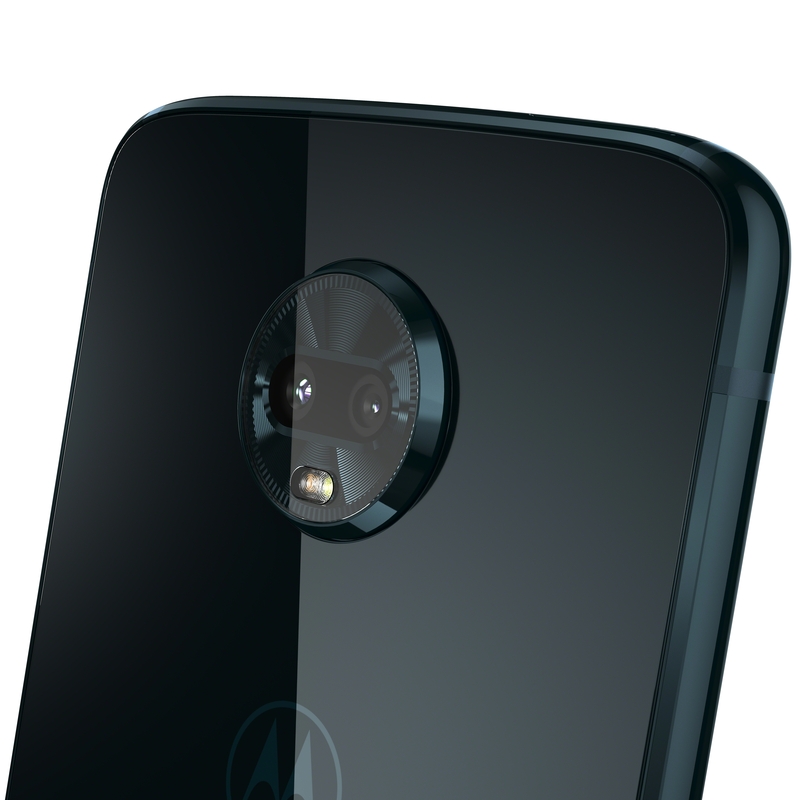 We knew the Moto Z3 Play was coming soon thanks to a mention in an app changelog and some leaked renders, but now it's official. It's a mostly mid-range affair, although some specs would put it toward the top of that bracket. 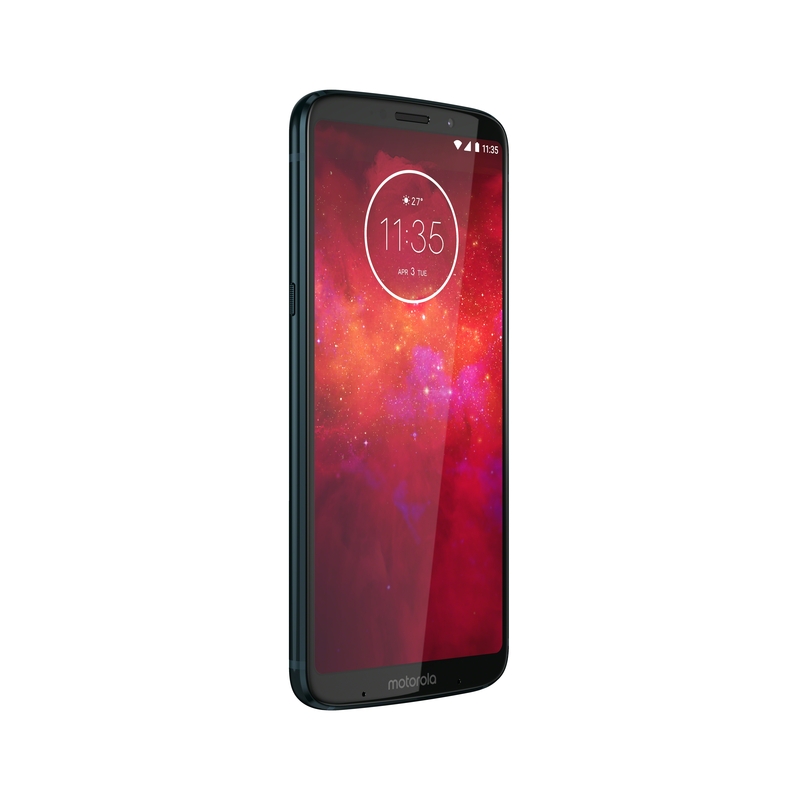 It uses Qualcomm's Snapdragon 636 chip with 4GB of RAM, and there will be 32GB or 64GB of storage depending on the model. Dual cameras appear for the first time on a Z Play device (the more expensive Z2 Force did sport them last year, though), with a primary 12MP low-light sensor complemented by a 5MP depth sensor. On the front, there's an 8MP snapper. 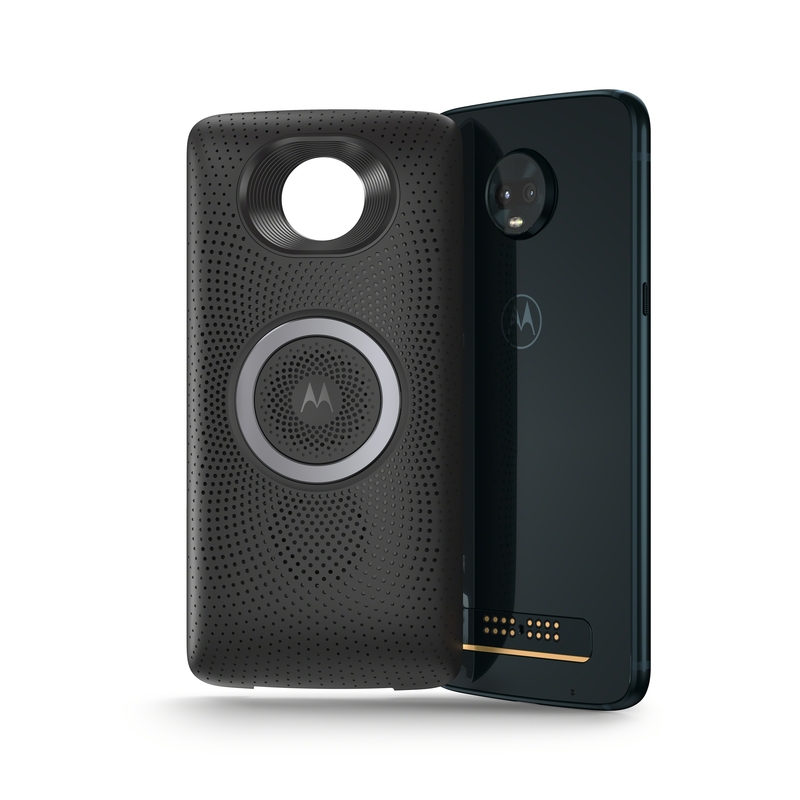 The anxious Moto ninja peeks out from behind the battery Moto Mod. 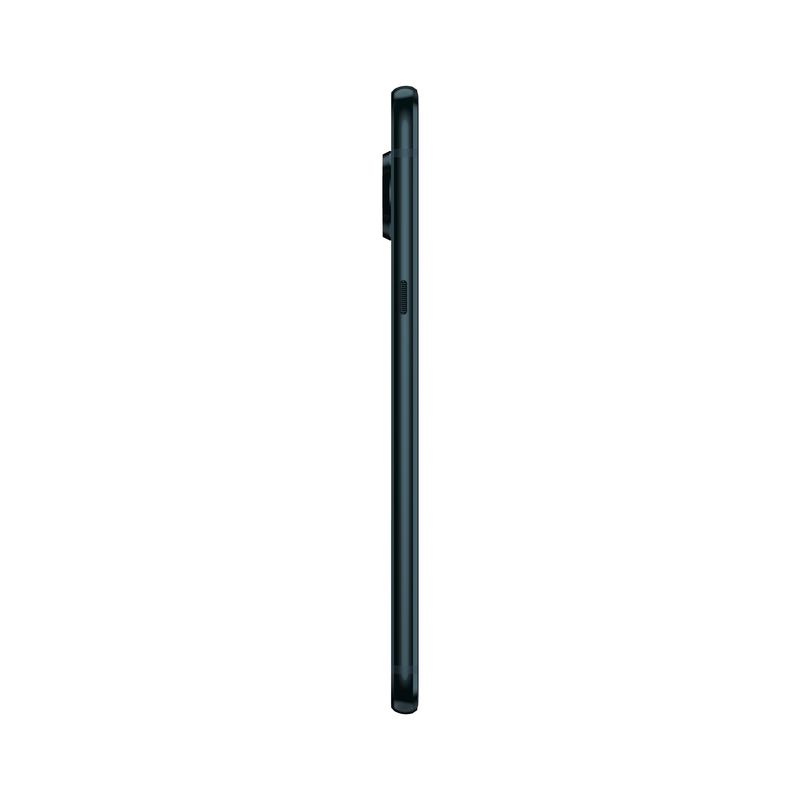 Although roughly the same size as last year's Z2 Play, the bezels have been shrunk allowing for a 6" Full HD AMOLED display with an 18:9 (2:1) ratio. 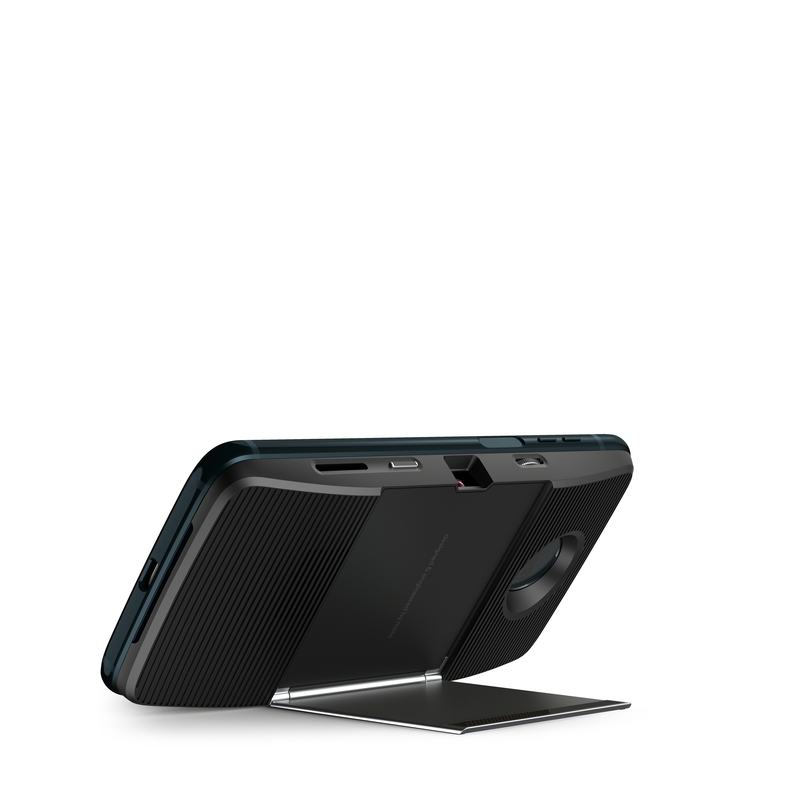 There's Gorilla Glass 3 back and front, either side of the aircraft-grade aluminum frame. 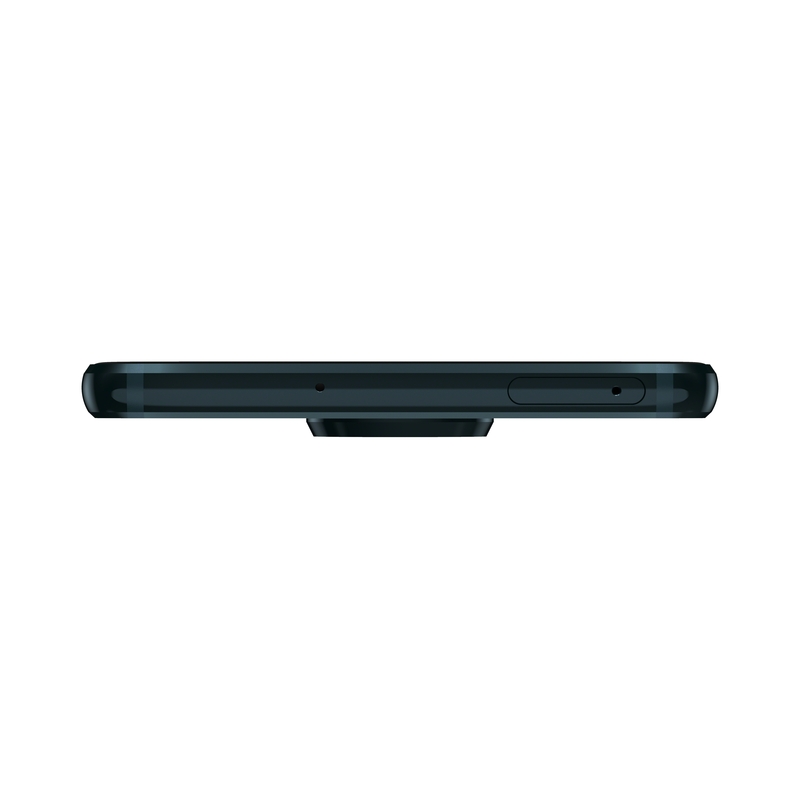 The fingerprint scanner now resides on the side of the phone, similar to what Sony has done previously, although there's a separate power button on the (gasp) left side. There's also a face unlock feature. 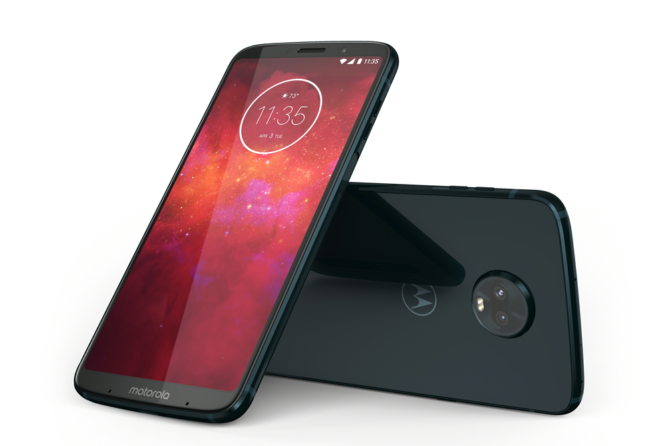 Not to be outdone by its rivals, Motorola has implemented a "one button" gesture navigation system that looks similar to the iPhone X home button/strip. 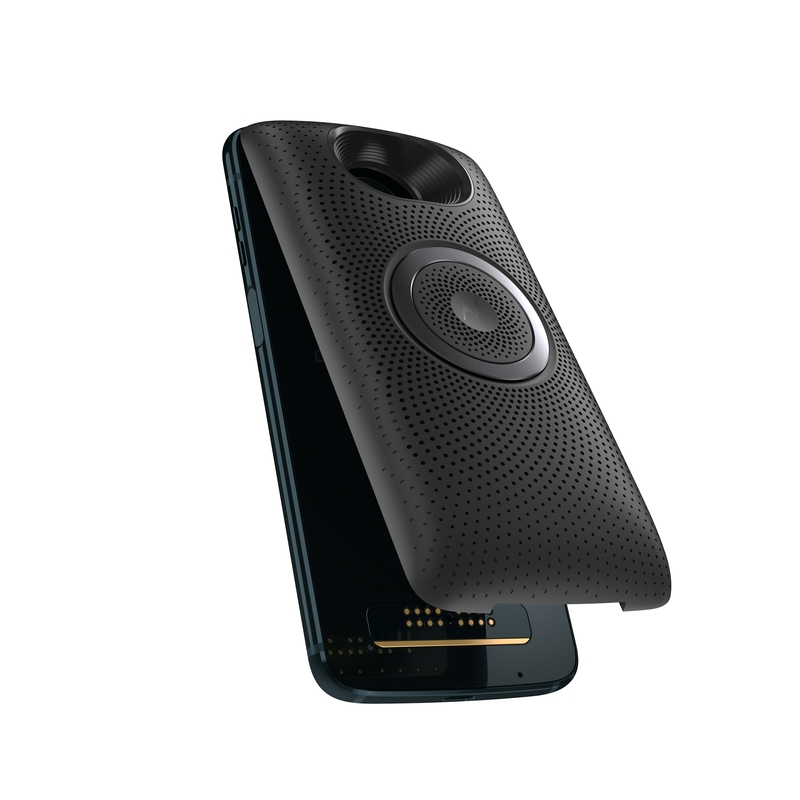 Two additional microphones (four in total) help to process Google Assistant or Moto Voice commands in noisy environments, and familiar software features such as Moto Display and Moto Actions are once again on board. 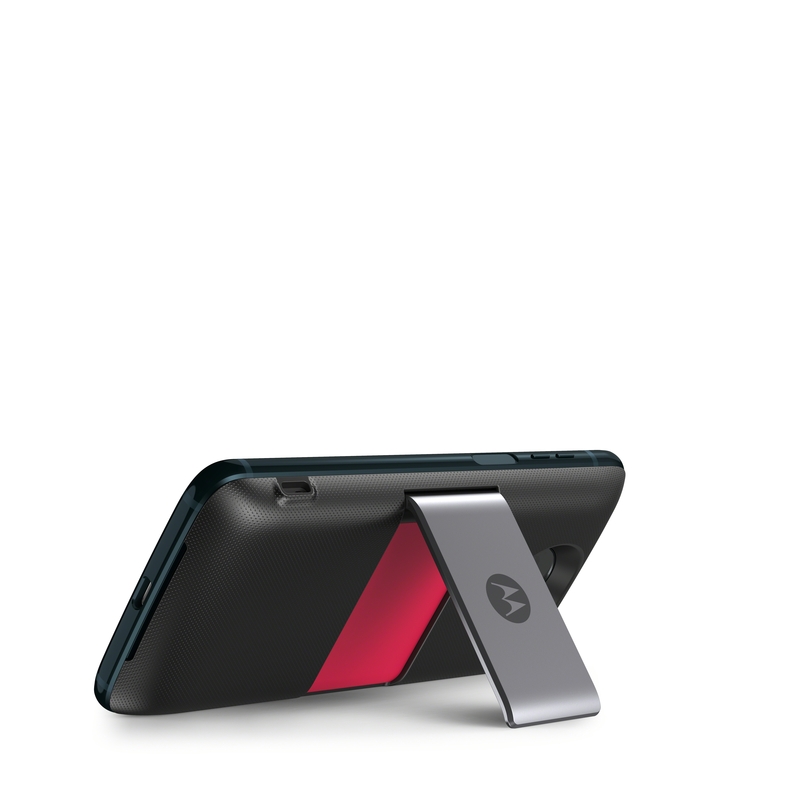 Moto is touting 40 hours of battery life if you combine the 3,000mAh battery with the bundled Moto Power Pack. Unfortunately, there's no headphone jack in sight. Global availability will start later this month, but the phone (in Deep Indigo) goes on sale today in Brazil for R$2,299. 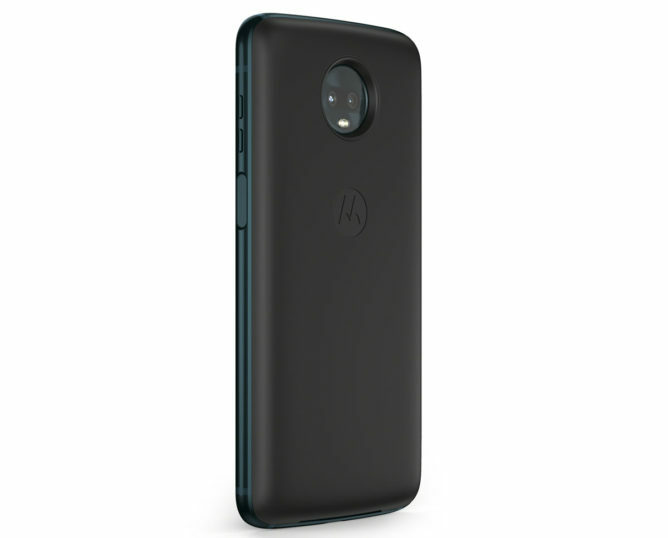 In the US, it'll be available sometime this summer, costing $499 unlocked along with the Moto Power Pack (normally worth $50). 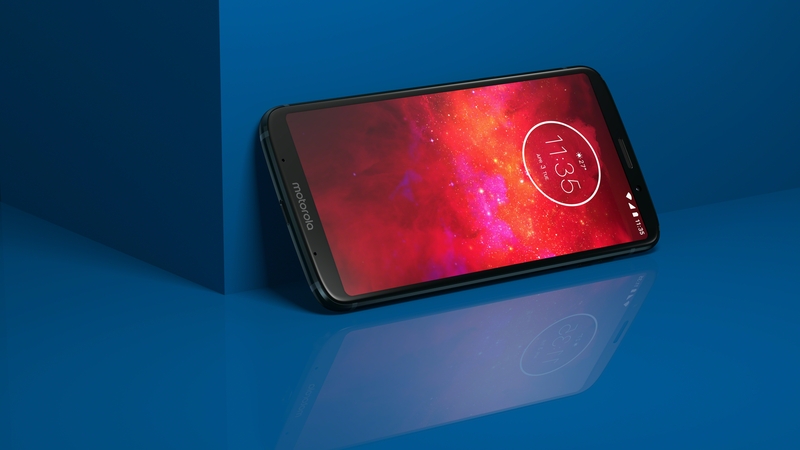 Other bundles will be available depending on the region, but it's unclear if you'll be able to buy the phone without a Moto Mod at all. In the US, retailers such as Best Buy, Walmart, Target, Fry’s, and B&H Photo will be stocking the Z3 Play, and Amazon will have it as a Prime Exclusive Phone. In Canada, it'll be available at Videotron, Bell Mobility, Virgin Mobile, MTS, and SaskTel.